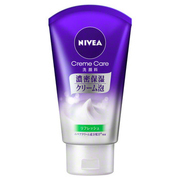 This cream is extremely moisturizing. 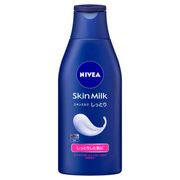 The texture is slightly dense, but it doesn't glide that terribly. 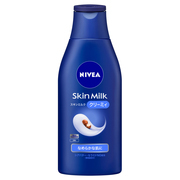 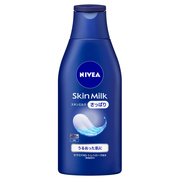 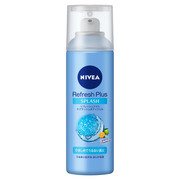 It has a great NIVEA cream scent, not the typical annoying sunscreen smell. 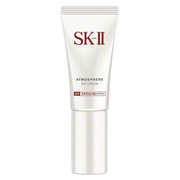 I only wear this product & Sekkisei Precious Snow to go out to around my neighborhoods like when I'm going shopping, and it provides me a pleasant feel--it's thoroughly hydrating yet doesn't make me look oily and shiny. 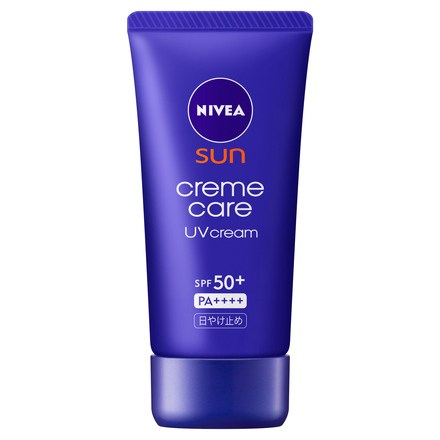 I've been using it on my face and my body, and so far I haven't gotten sunburned. 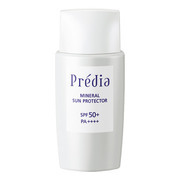 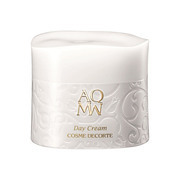 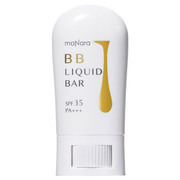 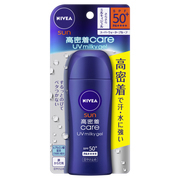 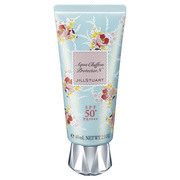 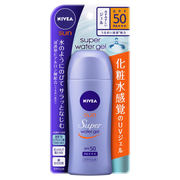 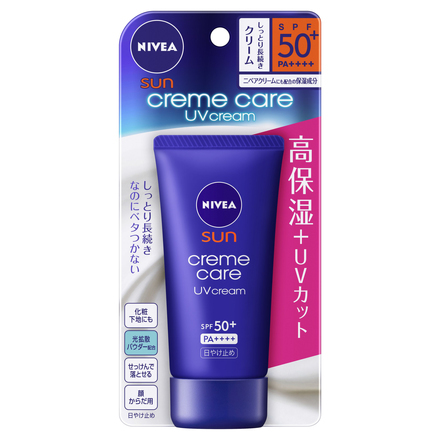 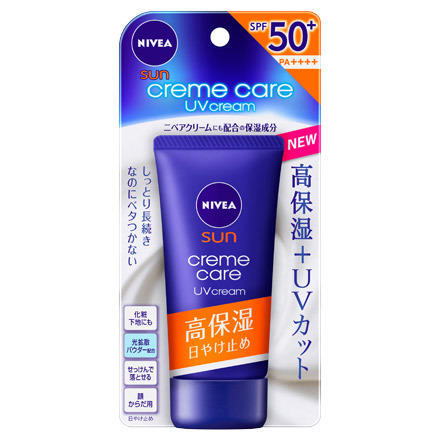 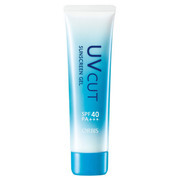 SPF50+・PA++++ This highly moisturizing UV creme protects the skin from powerful ultraviolet rays. 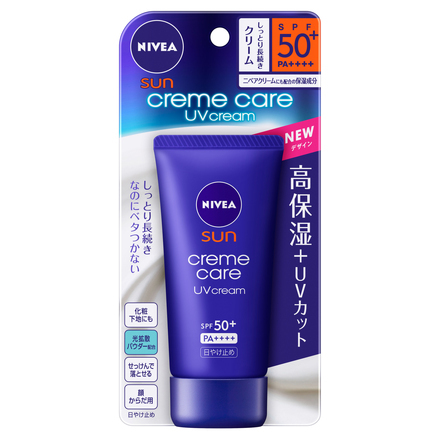 Contains jojoba oil, squalane and high-retention hyaluronic acid, also combined in Nivea Creme, this UV creme adheres well to the skin for hours without any stickiness. 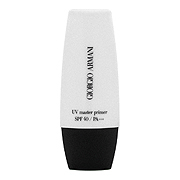 Also formulated with light-diffusing powder that blurs out pores and skin unevenness. 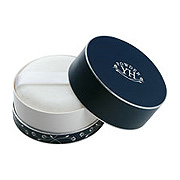 Since it doesn't leave any white casts and can be applied evenly, it is also perfect as a make up base. 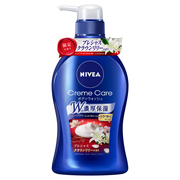 Easily removable with your daily soap, body wash, or facial wash. Mildly scented.